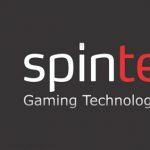 Spintec announces the company will unveil their latest innovations at ICE Totally Gaming. 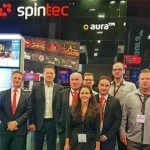 The main highlight of Spintec’s representation will be providing comprehensive solutions, including Spintec’s cutting-edge design, technical perfection and sensational gaming experience. 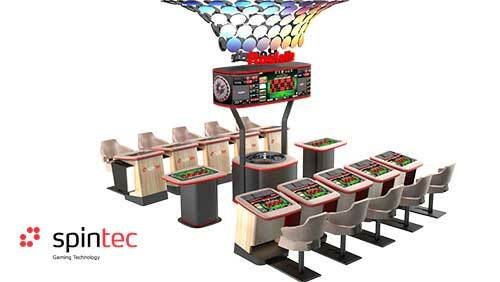 The world class developer and producer of electronic table games has gone one step forward in innovativeness of their state-of-the-art compact and amphitheatre solutions. A new dazzling design and gaming features of Aura amphitheatre solution and Karma compact gaming solution will be presented at the show. What to expect at Spintec’s booth? The Company will be exhibiting its newest ground-breaking technology and design at booth #S7-240. The visitors of their stand will have the opportunity to test Spintec’s ergonomic design in every aspect of the gaming experience, from ergonomic chairs, offering the player a comfortable sitting position, to good view of the monitor, lots of space for legs, the possibility to move the chair back and forth, space for drinks and personal belongings, and last but not least the luxury of wooden and leather finishes. All these unique features that Spintec offers give the company the primacy in the field of stylish, comfortable and innovative ETGs. 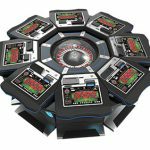 New products will also offer enhanced visual effects, resulting in supreme attractiveness and visibility of the gaming machines on the casino floor. 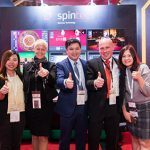 This years’ representation of Spintec innovative gaming solutions will be marked by a vast selection of novelties, covering all requirements of any casino floor. Besides Aura amphitheatre solution, Karma generation II will be showcased at ICE Totally Gaming for the first time. At ICE Totally Gaming Spintec will reveal the automated Karma Roulette generation II and the Aura Roulette amphitheatre solution with a dazzling design of topper and sign. Additionally, the company will showcase an automated Karma Sic Bo generation I and a multigame amphitheatre solution combining live, automated and virtual games. “ICE provides us a great opportunity to present our latest innovations, including new design and technology for compact and amphitheatre gaming solutions. We can address operators from all around the globe at ICE and connect with our valuable customers. At ICE Spintec will demonstrate our ground-breaking solutions to drive player engagement, which directly translates to longer gaming sessions and therefore accelerate operators’ revenue growth, and enhance operating efficiency. Make sure you come by our booth #S7-240 to see how we can add value to your business,” said Renato Bičič, Sales Director at Spintec. Find out more about Spintec on www.spintec.si.